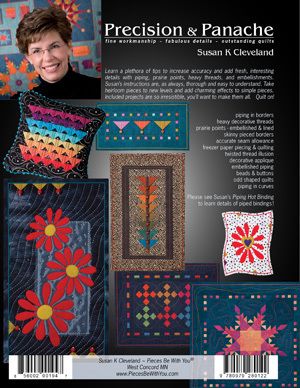 This book is a great compilation of techniques and insights into how to add some character to your quilts – how to give them a little pizzaz and make them stand-out from all the others. For the newbie – there is great basic information on techniques that you can grow into. For the not-so-new quilter this book is a great refresher of techniques you learned early on (or never learned and should have) and new ideas to add interest to our quilts. Susan first provides a clear and concise explanation of the specific technique. The photographs included are great and leave no questions about what she intends. She then provides small projects that incorporate the various skills and techniques that she just presented. I love that – you can make something small to practice the technique and end up with a little something for yourself – or a nice little gift for someone. 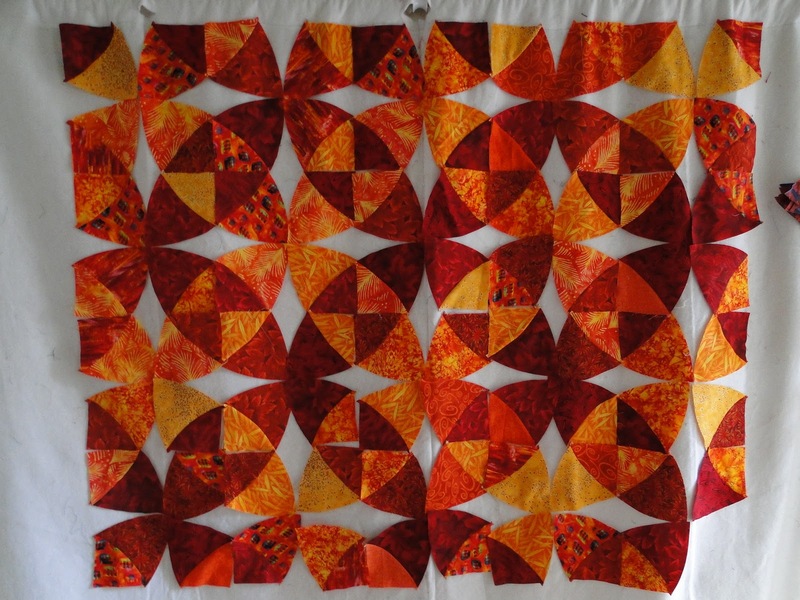 Then, if you like move onto a larger quilt to incorporate these techniques. And – she provides directions on how to do these various techniques if you are left-handed!!! Here are images of some of the projects and techniques that you will find in the book. 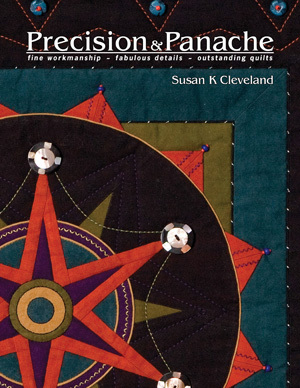 Get a few of your quilting friends together, everyone get a copy of the book and then work on some of the techniques and projects together. (IT IS NOT OK TO PHOTOCOPY AND SHARE) What fun it will be to see how each of you can add your own take on Susan’s ideas. Ask for the book at your local quilt shop. If you can’t find it there – visit Susan’s website and order it there. 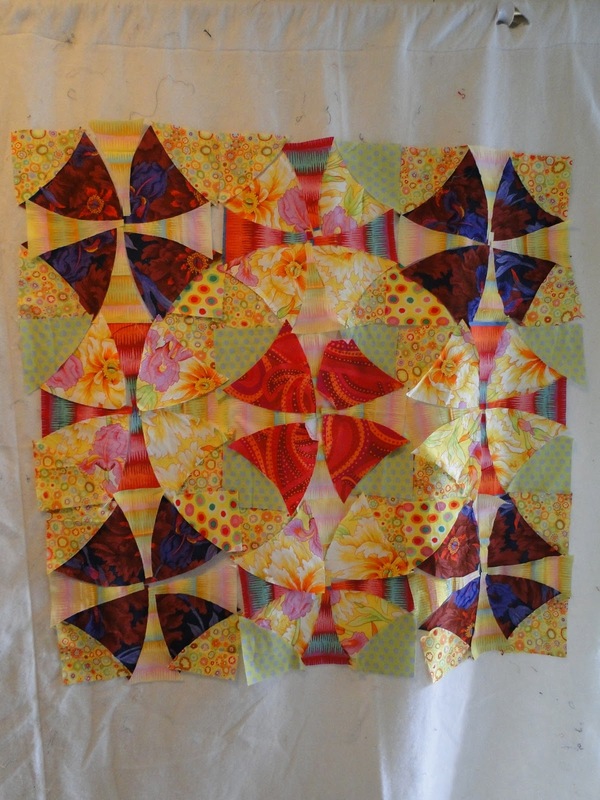 One of my goals for 2012 is to try new techniques and find new ideas to inspire me in my quilt designs. 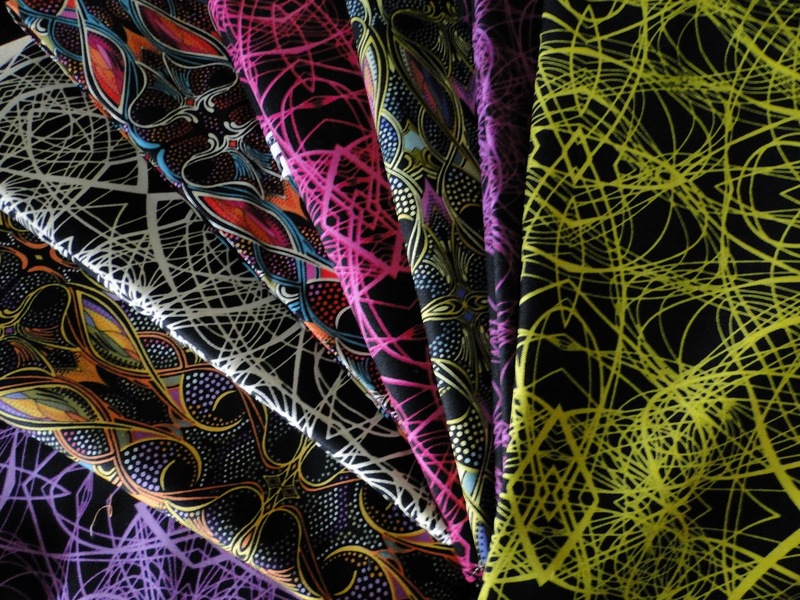 I tried her recommendations for getting a perfect quarter-inch seam – and it works, not only do I get a perfect quarter-inch seam, but I don’t’ have problems with my fabric twisting to the right and getting less then perfect seam at the end of the stitching. I hope to try some of her projects – so stay tuned to see what I come up with! 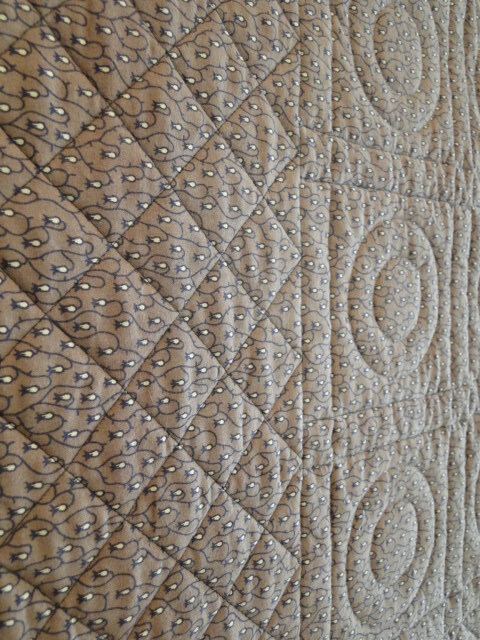 Precision & Panache: fine workmanship, fabulous details, outstanding quilts. Well, there has been a little progress on my Red/Orange/Yellow winding ways – Christmas does have a way of putting a kink in my sewing schedule. I am going to add one more row of blocks at the bottom. I am not sure what colors to put into the missing sections – also considering putting a different color into the center “circle” – what are your thoughts? Head over to Judy’s Blog to see what everyone else is doing! 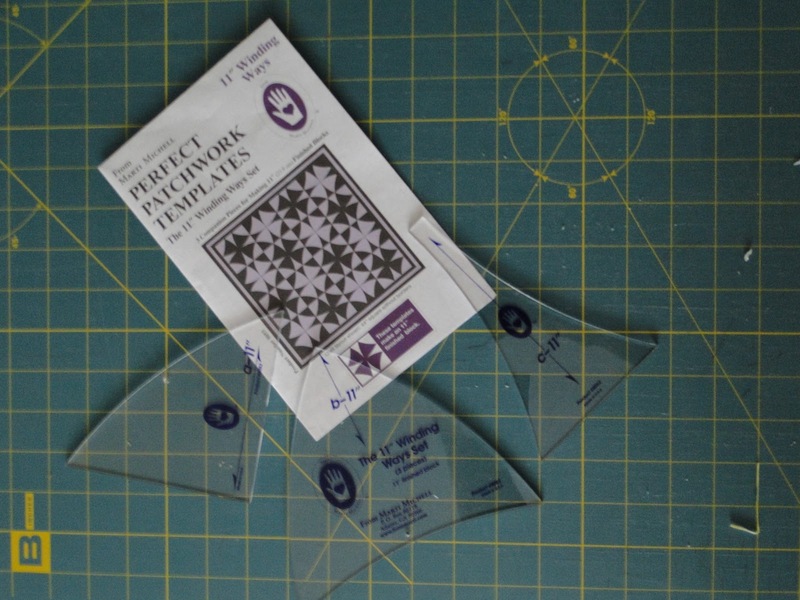 As I mentioned last week – I am using the Marti Michell templates to cut out the pieces. 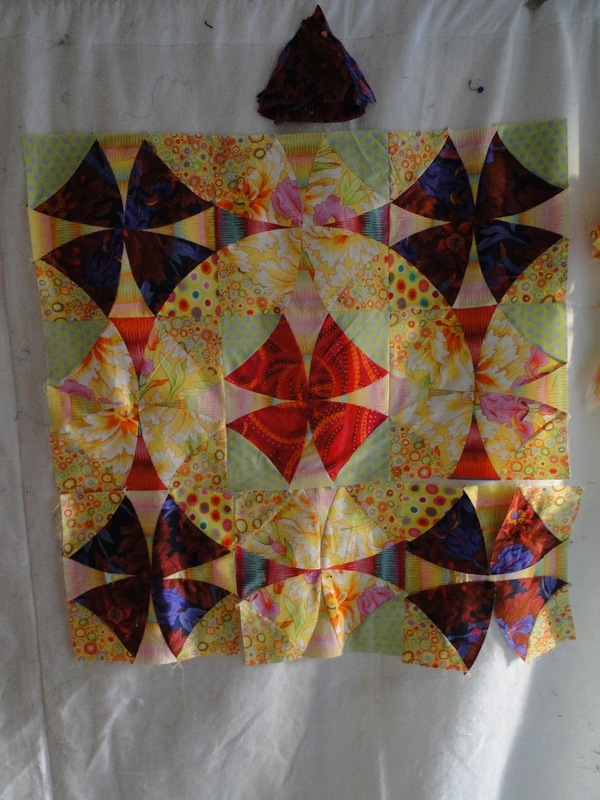 This pattern is addictive and the templates make the block go together with such ease. Here is the top as it is now. The top two rows are sewn together, I have to finish sewing the middle and right block for the bottom row and then join them all together. 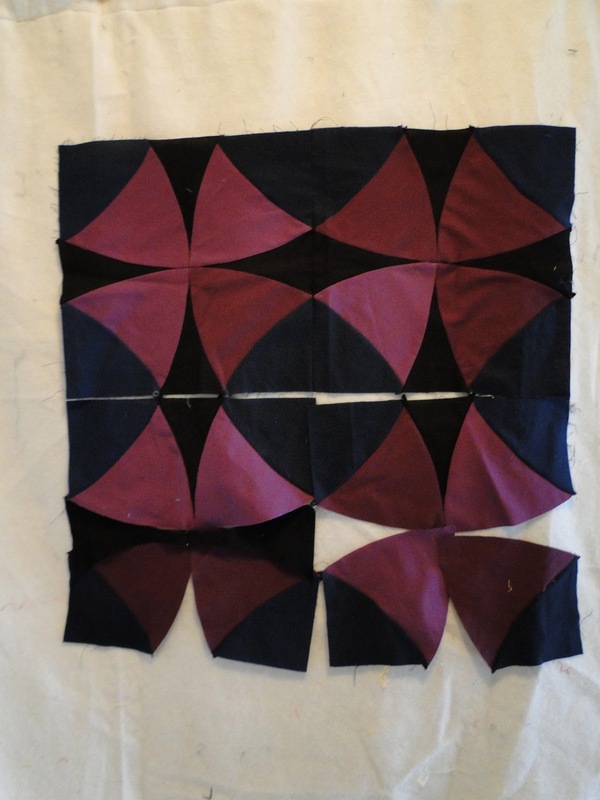 I was going to leave it as a 9 block sample, but I like how this is looking so I am going to make a bigger top – possibly 5 blocks by 5, or ????? So, since this one is growing I needed to work on a smaller sample. 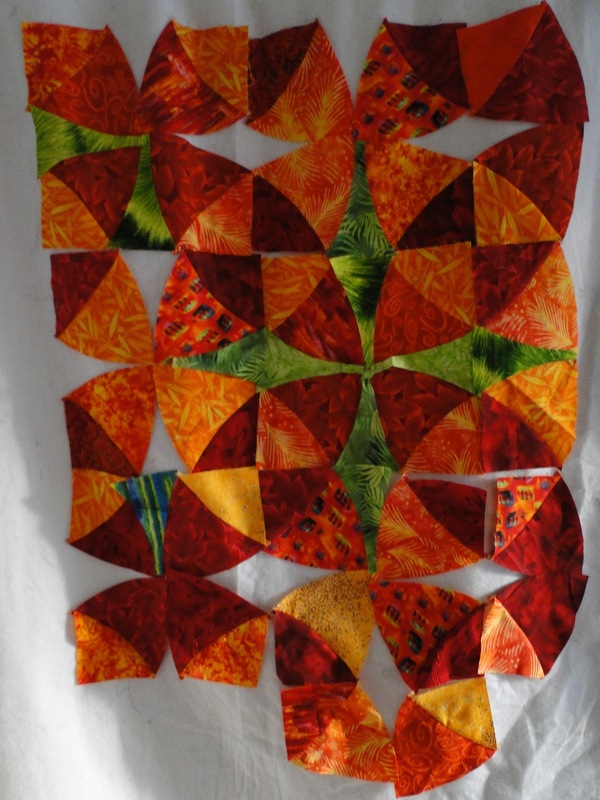 So I dove into my stash of orange, red, yellow and now am adding some green to it and trying out a different design. And, yes I do have more than enough fabric, but does one ever have MORE THAN ENOUGH? 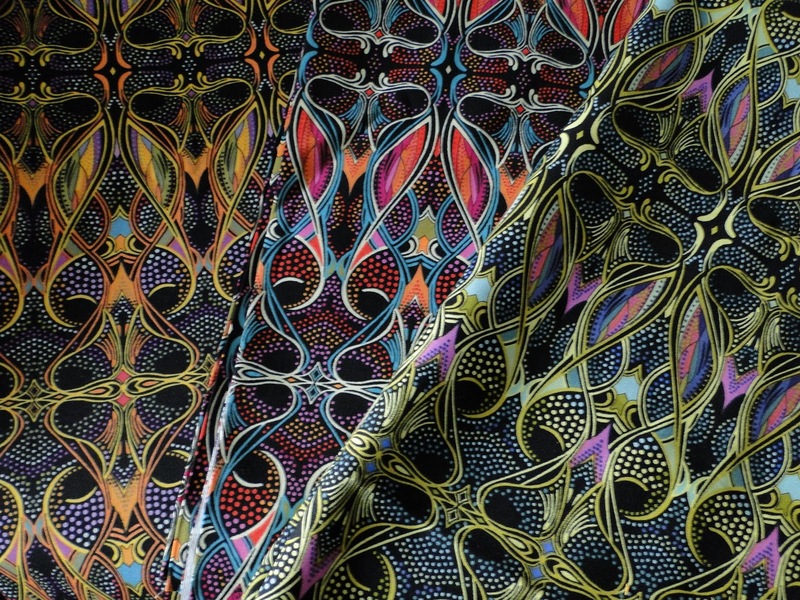 I came across the new Paula Nadelstern Patternista fabric and couldn’t resist. 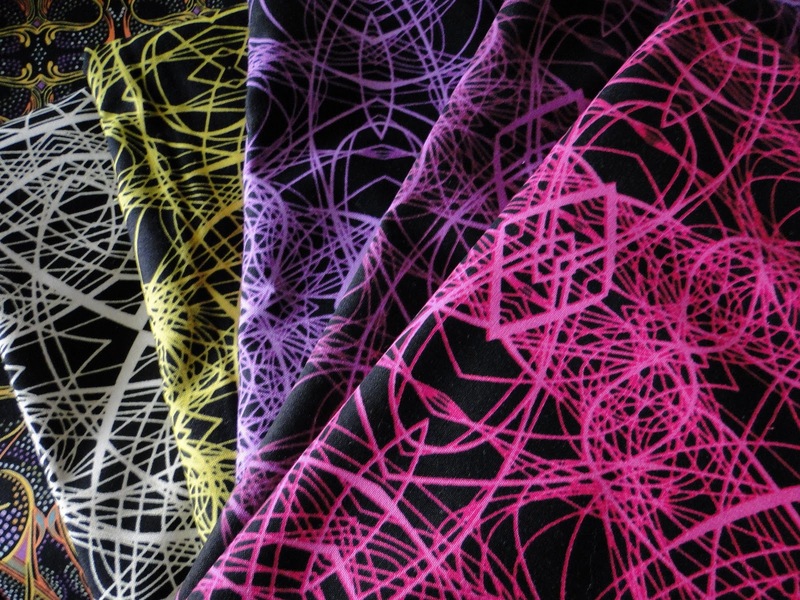 I think these would be great in a winding ways pattern. 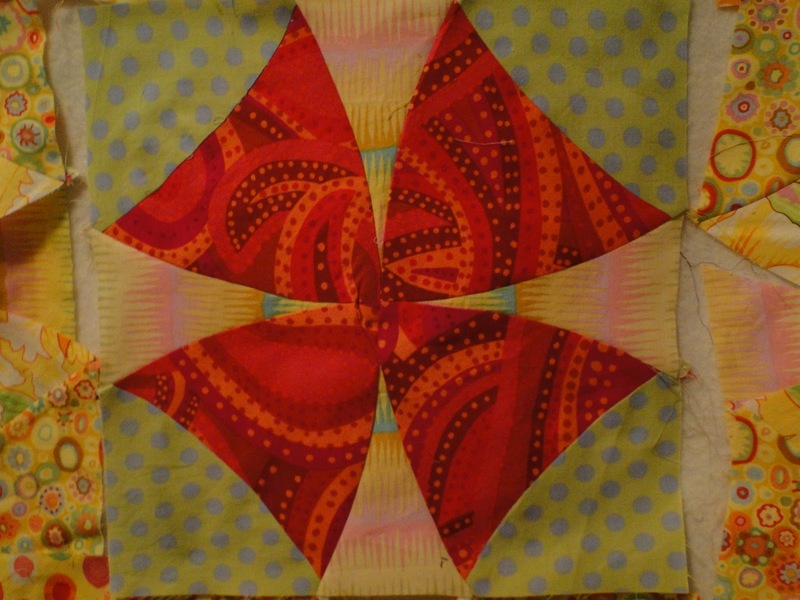 Well, I am working on some samples for a Winding Ways class I am teaching at The City Quilter in February. I am using the Marti Michell templates to cut out the pieces – these are a gem. Easy to cut out lots of the shapes in no time at all. So I have been slicin’ and dicin’. Who would have thought sewing the blocks is WAY easier than picking out the fabric. Here are two versions I am working on – not really happy with either – but at least it is a start. The second is a Kaffe/Westminster inspired design. Head over to Judy’s Blog and see what everyone else is doing. 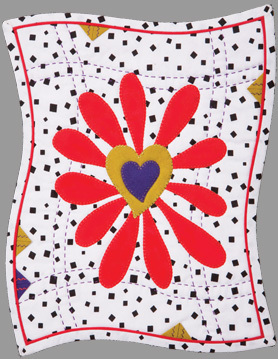 I am happy to report that my first quilt pattern has been published in the January/February 2012 McCall’s Quilting Magazine. 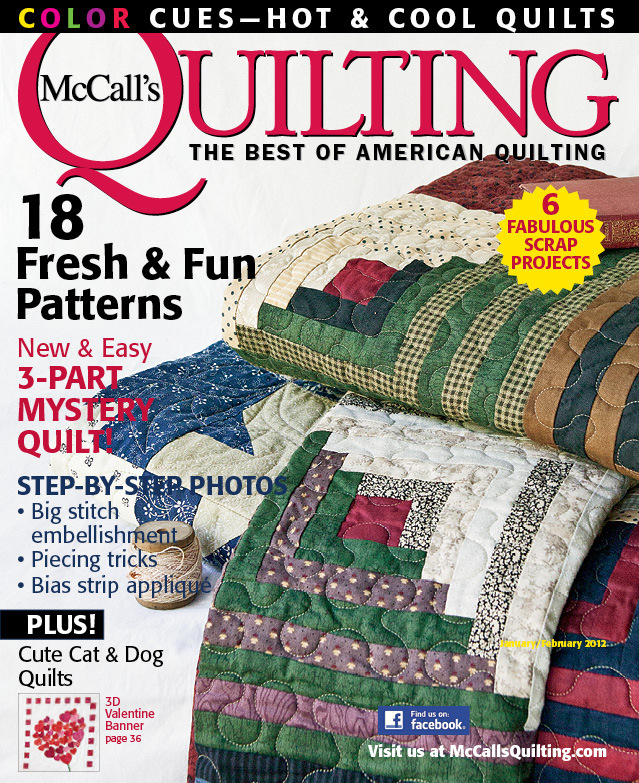 If you subscribe to the magazine you should have already received it, if you don’t subscribe it should be at local newsstands and your local quilt shops! 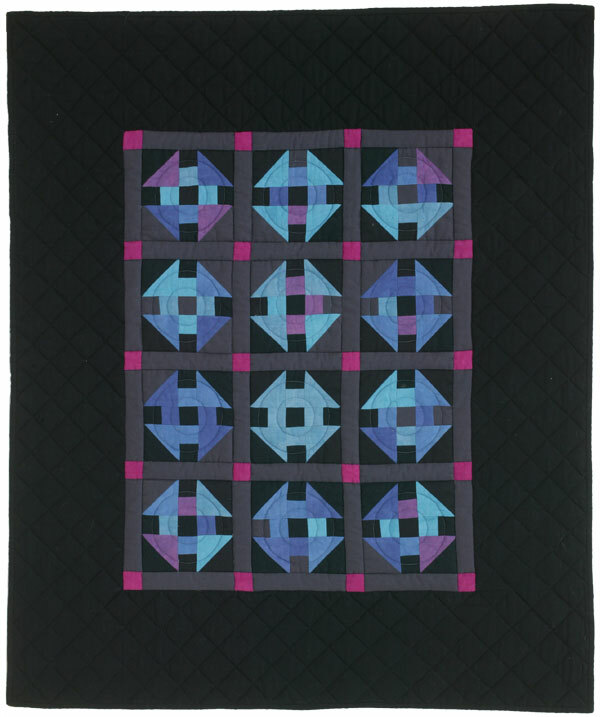 The wall hanging quilt is called Amish Glow and can be found on pages 80-81 of the magazine. 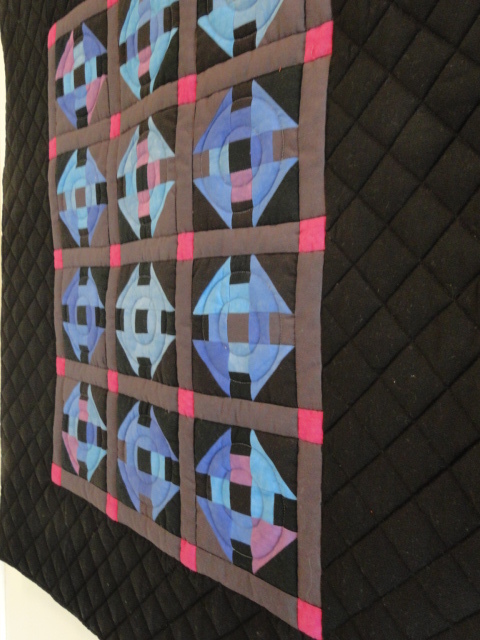 I used a pack of Blue Lagoon from Cherrywood Fabrics for the blues in this quilt, the other fabric (Black, Grey, Pink) are Kona Solids. 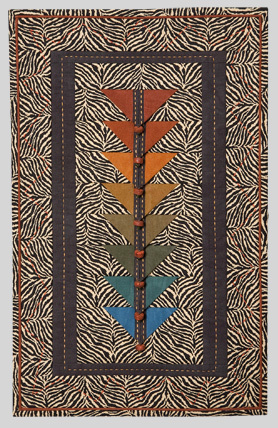 McCall’s also offers an up-sized version for a lap quilt as a free web download. 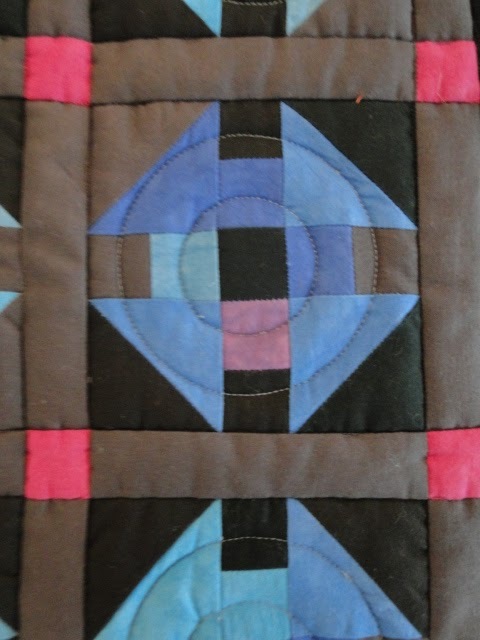 Here are a few close-up shots of the quilt and the quilting from the front. 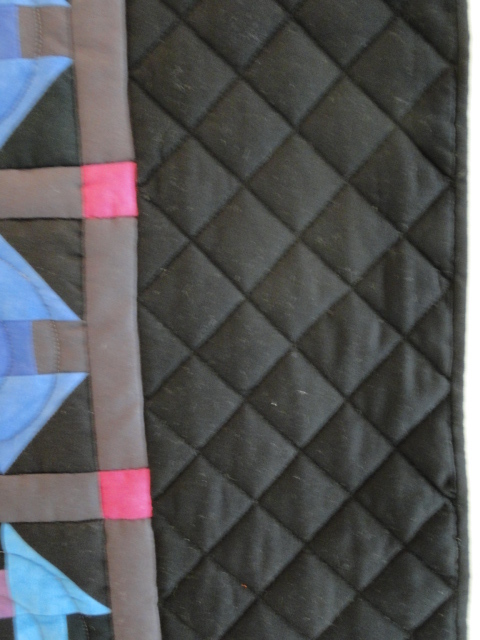 Here are some views of the quilting from the back. 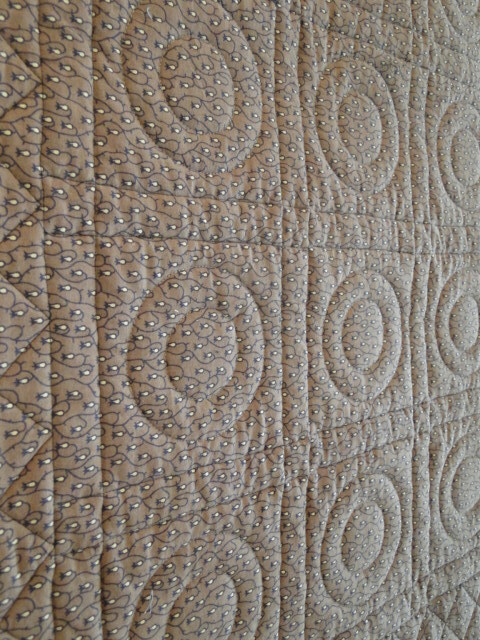 I quilted this on my HQ 16. 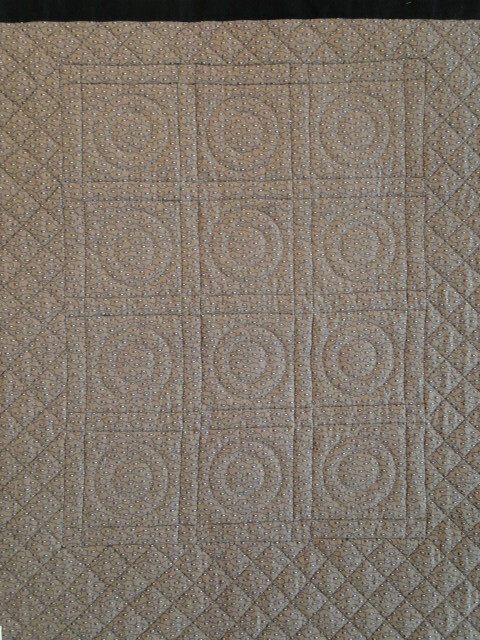 The circles were quilted using the Pro-Stitcher on my machine and the in-th-ditch and grid quilting was accomplished with ruler work. Thanks again to everyone at McCall’s for making this happen!